I already had plane tickets, but hadn't registered yet. Fortunately, There are plenty of races still open. In fact, IM Mallorca is still open, and it's only a week before. It's still in the same part of the world, I can change my plane tickets for less than 100 USD, and I can still see everything I wanted to see in Spain and the surrounding area. Flights to the mainland from Mallorca are less than 50 Euros, one-way. I was never going to Barcelona for Barcelona; I arrived at that race primarily by a process of elimination. My roommate wanted to go to Western Europe, and Spain was going to be a lot less expensive than Zurich. The time of year is perfect. It's a beautiful part of the world, a part of the world I've never seen, and I can easily see Spain, southern France, Portugal, and maybe even Italy! 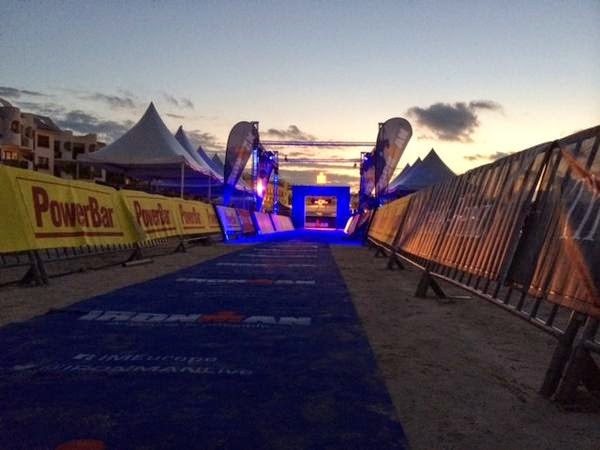 The one big change between IM Barcelona and IM Mallorca is the course. Barcelona's bike course is pancake-flat, but Mallorca has a pretty significant climb. From what I can see on the course map, there's a 15 km climb that peaks at 600 m. The descent is technical, too. I'm a little concerned about my ability to make the bike cut-off with that big climb in the mix. On the other hand, I finally live in an area with some hills, so I can train properly for a hilly course. I was thinking of signing up for Challenge Poconos for a warm-up race, and the course will help prepare me for Mallorca better than for Barcelona. I'm planning to buy an aero road bike, which will be better suited to a climbing course than to a flat course like Barcelona. And I'm excited to have a more challenging course for my first Ironman (because my first Ironman isn't challenge enough in my brain, apparently). So I was bummed for a couple of hours last night, but now I'm excited to switch to Mallorca. It'll work out, either way.